Vintage Photos Capture Audience Wearing Special Glasses to View the First Full-Color 3-D Feature Film "Bwana Devil"
Bwana Devil is a 1952 U.S. adventure film based on the true story of the Tsavo maneaters and filmed with the Natural Vision 3-D system. The film is notable for sparking the first 3-D film craze in the motion picture industry, as well as for being the first feature-length 3-D film in color and the first 3-D sound feature in English. For Hollywood, the 1950s era presented a plethora of obstacles to success. McCarthy’s communist witch-hunt battered the growing movie industry as actors, writers and directors came under scrutiny whilst McCarthy turned every stone looking for his communist demons. In addition, a weather-beaten Hollywood had to contend with new competition from the highly successful television market. To counter TV, Hollywood looked for gimmicks to attract moviegoers. 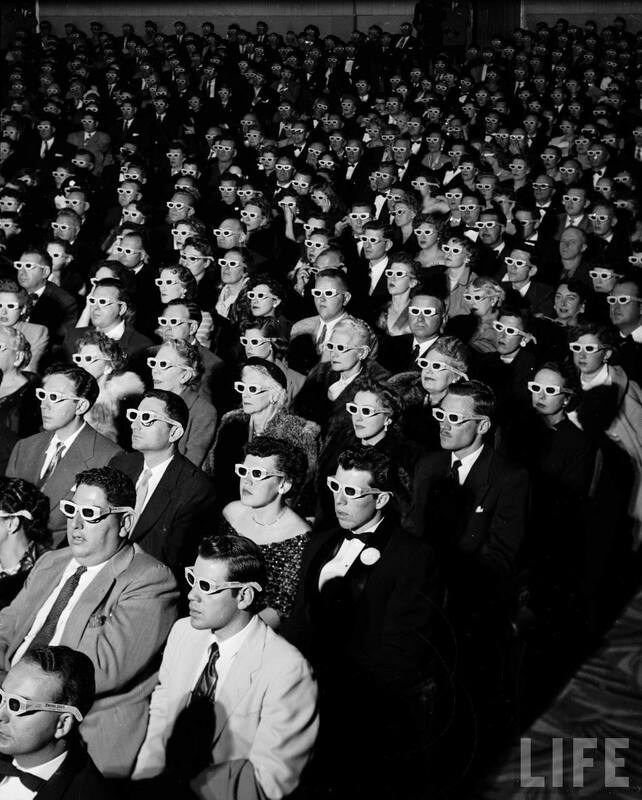 Once such device was a newly improved medium for projecting movies in theaters – the three dimensional or 3D movie. 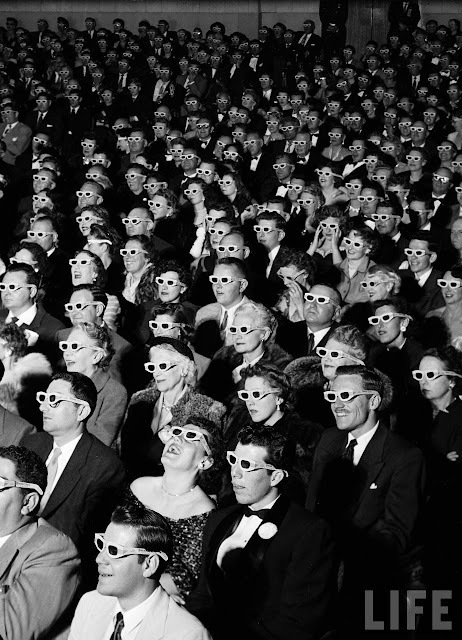 The introduction of the first color 3D movie set off a chain reaction of 3D movies that served Hollywood’s purpose well. 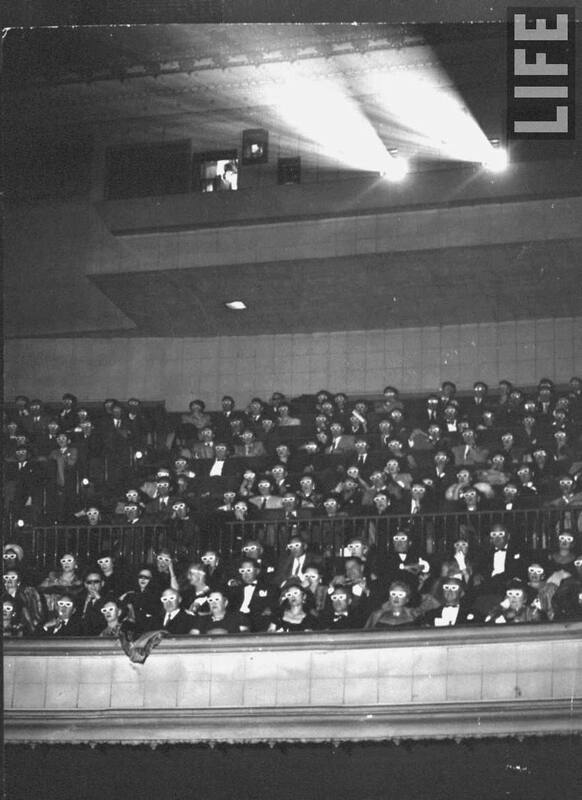 Movie goers came back to the theaters in droves to see the new technology which itself triggered several new inventions in film making, many of which are still in use today.